Cigarette Injector Triple Tube Filling Machine. 10ct. ..
V Syndicate Metal Rolling Tray Assortment - Medium. Designs May Vary. 10.5" x 6.25" 10ct. ..
Mini Backwoods Metal Rolling Tray Assortment. 8" x 4". 5ct. ..
Rick And Morty Rolling Tray Assortment - Mini. Colors May Vary. 7" x 5". 5ct. ..
Rolling Dual Cigarette Injector. Cigarette Making Machine To Be Used With 84mm Rolling Cigarette Tub..
Cones Manual Filling Device - 98mm. Fill Up To 36 Cones At A Time. 1ct. .. Cookies Automatic Rolling Box - 110mm. 1ct. .. Cookies Rolling Tray 2.0 (RED). 12" x 6.25". 1ct. 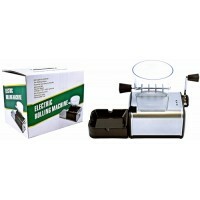 ..
Electric Rolling Machine Automatic Cigarette Injector. 1ct. LED Light To Indicate Rolling Stat.. 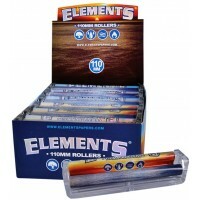 Elements 110mm Cigarette Roller. 12 Rollers In A Box Display. .. 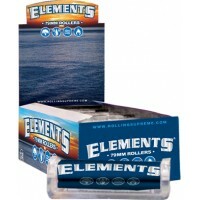 Elements Rolling Machine - 70mm. 12 Rollers In A Box Display. .. 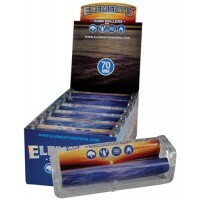 Elements 79mm Cigarette Roller. 12 Rollers In A Box Display. ..
Juicy Blunt Cigar Roller. 120mm. 6 Cigar Rollers In A Box Display. .. Kingpin Blunt Cigar Roller. 120mm. 6 Cigar Rollers In A Box Display. ..
Laramie Shooter Single Cigarette Injector. Colors May Vary. 1ct. ..